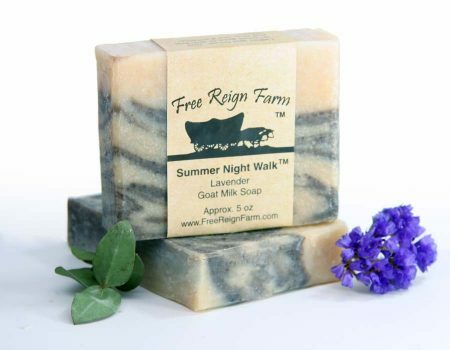 Earth & Sky is a perfect blend of lemongrass and tea tree essential oils, making it an excellent soap for oily skin and acne prone skin. Tea Tree Oil has long been touted as one of mother nature’s miracles for oily skin. This tea tree soap has been used successfully as both an oily face and body soap. While we cannot claim to treat or cure acne, this is our recommendation for oily, acne prone skin . For the added purifying action of activated charcoal, consider our new Clean-Zit goat milk soap. We are not strangers to the horrible damage acne can cause on a face and body. After struggling with acne for over 20 years, we are now realizing just how important choosing a good acne soap can be when you have teenagers in the house. 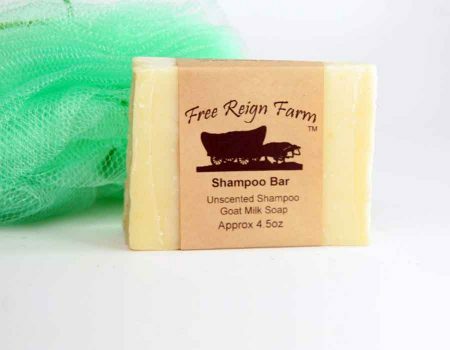 In our experience, tea tree soap made with real tea tree essential oils has provided the best relief for our family. To read more about our experience, check out the benefits of tea tree soap in this exciting article. *Disclaimer: The information on this page is intended to be informative and relay the experiences of those who have had success with this product. This information and product is not intend to diagnose, treat, or cure any skin condition. Please consult your medical professional for any medical concerns. Earth & Sky is a special tea tree soap designed for oily skin. 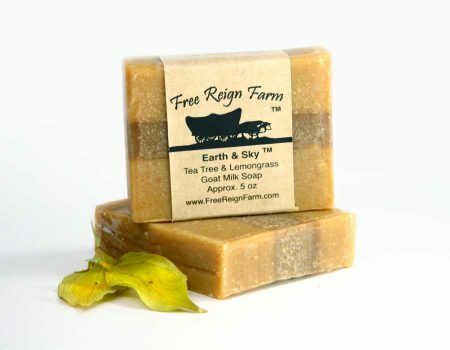 Earth & Sky is a special tea tree soap with real Goat Milk for oily and acne prone skin. If you are suffering from severe acne and need a stronger acne soap, check out our Clean-Zit soap. Ingredients: Goat Milk, Saponified Lard, Olive Oil, Coconut Oil, Tea Tree Essential Oil, Lemongrass Essential Oil, Madder Root, Alkanet Root. Use and Care: Use this tea tree soap on oily skin as normal face or body soap and enjoy softer skin! 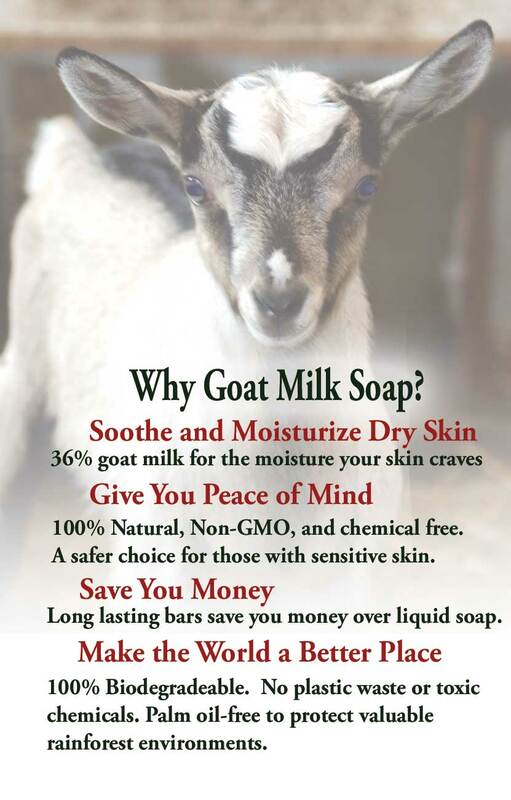 Place your goat milk soap bar on a rack or soap dish between uses. This allows the soap to dry thoroughly and and extends the life of the acne soap. Allergy Warning: People with skin allergies and sensitive skin should test the soap on a small patch of skin first. Stop using if irritation occurs. 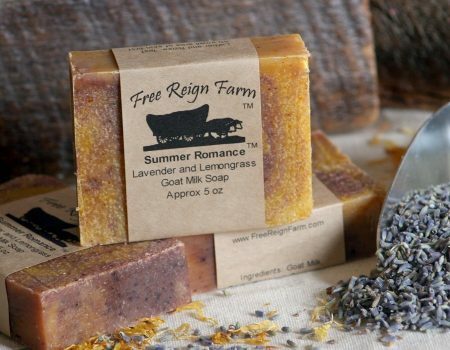 Please Note: We made our lemongrass and tea tree soap with 100% real, farm fresh goat milk for maximum dry skin benefits. 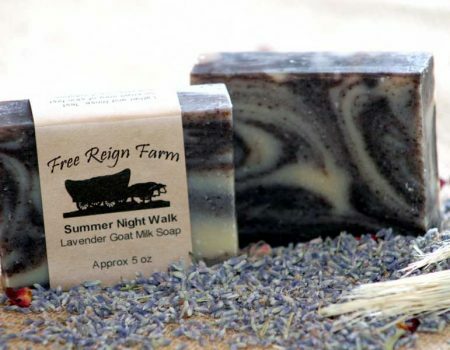 All of our soaps are handmade and hand cut. This results in natural variations in soap size, shape, and color from batch to batch. We think it adds character! Goodness knows there were a lot of “characters” who had a hand (or udder…get it?) in making it. Just ask Ethel the goat! Our Story: Acne was a fact of life for Bethany for almost two decades. When every treatment failed including antibiotic creams and pills, we went looking for more natural answers which lead to the creation of Earth & Sky and several other tea tree soaps. To learn more about acne, its causes, our story, and what we discovered along the way, please check out our blog post. I had a persistent fingernail fungus that survived two doses of my doctor’s prescription medicine. I tried this soap and the fungus slowly started going away (apparently nothing gets rid of a nail fungus quickly). The first bar of soap is mostly gone and so is about 99% of the fungus. 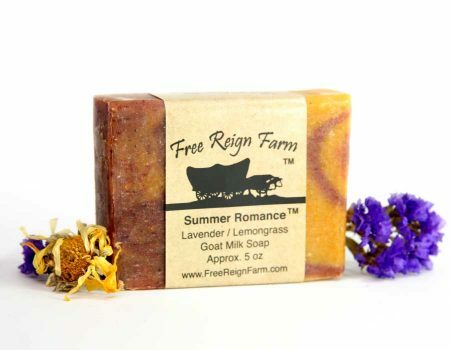 Just ordered some more of this great soap.